Big Red Beard Combs, the comb every man needs. Offered in many different shapes and sizes to tend to the needs of every man’s beard. But are they functional? We’ve spent many hours crafting what we feel are some of the most beautiful and functional Beard Combs any gentleman wearing facial hair would be proud to own and show off to fellow Bearders. Upon first glance one might assume the comb is cut from a small block of wood, and you’d be right it is wood, but upon closer examination you’ll be pleasantly surprised. We’ve employed a laminated technology to the construction process to make them as tough as possible. With this process we’ve drastically increased the strength to ensure your comb will be around for quite some time. With it’s 5-ply laminated technology, Big Red Beard Combs are strong and flexible, ensuring that your comb will last and keep you looking your best. 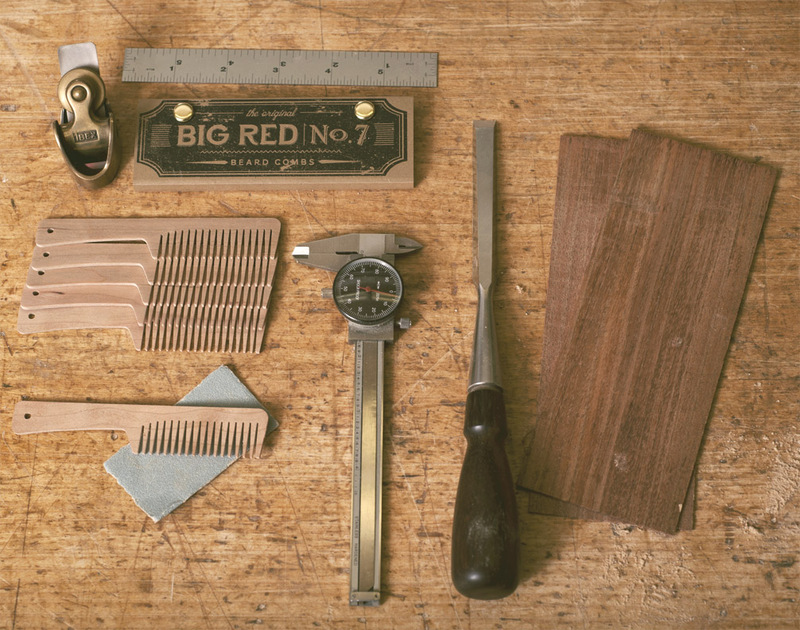 Big Red Beard Combs not only look good, they are functional. Whether you sport a mountain beard or a refined beard, our combs can handle it all. Here in Canada our combs are made from wood cut down by Lumberjacks. No plastic here, only 100% all natural lumber. Feel the difference.